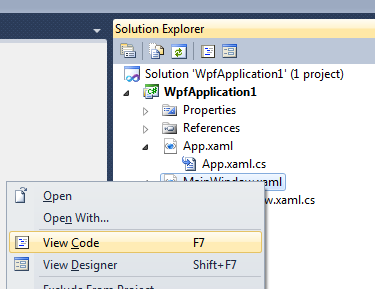 You can add a WPF control to a window by using the design view editor in Blend. You add the control by dragging and dropping it onto a design surface. 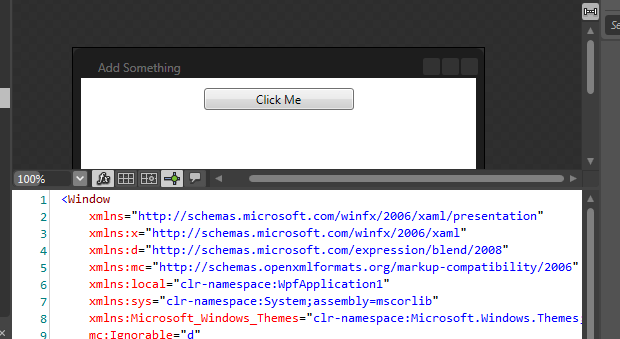 You can also add a control by editing the XAML directly while in the design view editor in Blend. 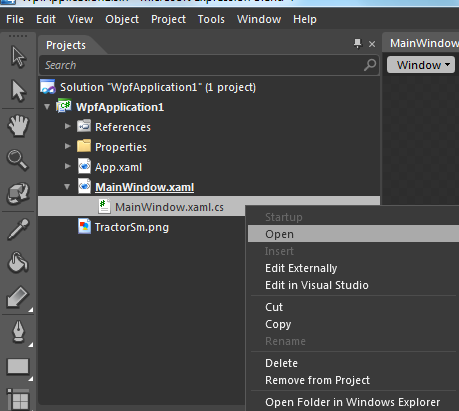 To open the design view editor for a particular window, double-click the associated .xaml file in the Projects window. 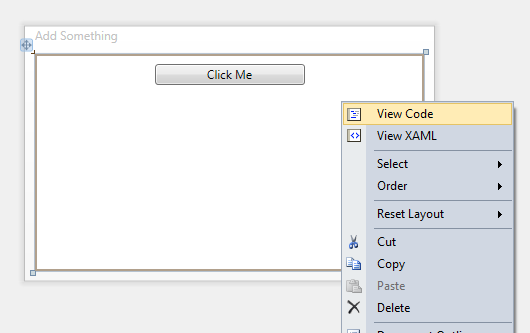 The design view editor will open, with the design surface showing and the XAML hidden. 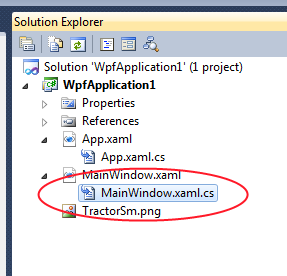 Change the editor to be XAML-only or split screen by clicking on the appropriate icon in the upper right corner of the tab that shows the design surface. 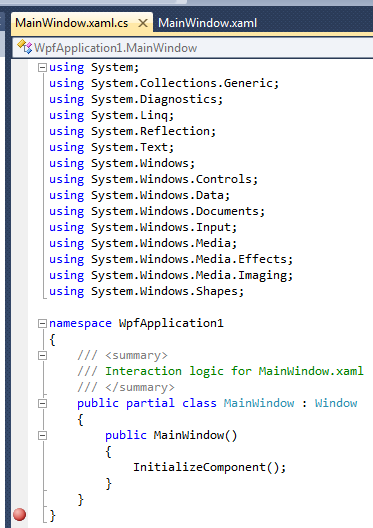 If you choose Split, the XAML editor will appear in the lower half of the screen. 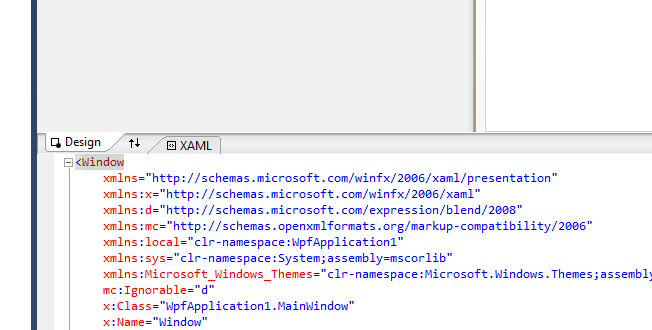 You can then enter or edit XAML directly in the XAML editor. 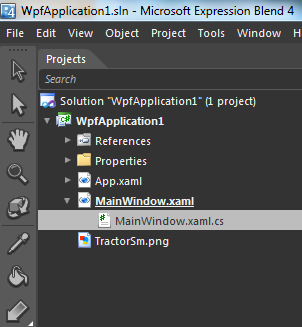 Since the Image control inherits (indirectly) from UIElement, it has an Opacity property. 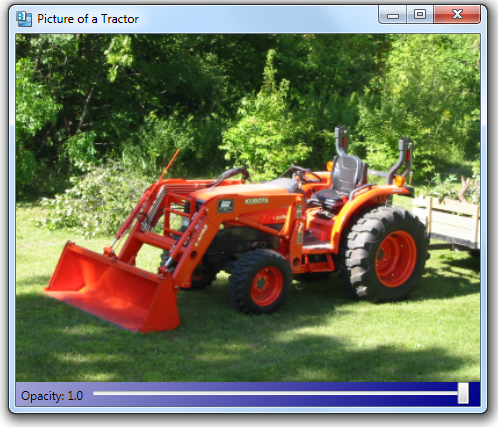 The Opacity property allows content behind the image to show through the image. 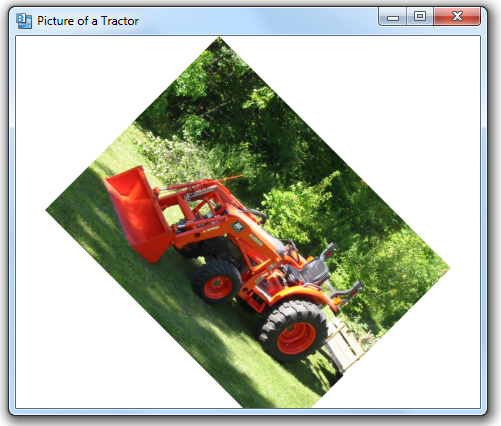 Its value ranges from 0.0 to 1.0, with 0.0 indicating that the image is fully transparent (doesn’t appear at all) and 1.0 indicating that the image is fully opaque (nothing shows through). In the example below, we bind a Slider‘s Value property to the Opacity of an Image, so that we can easily change the opacity. 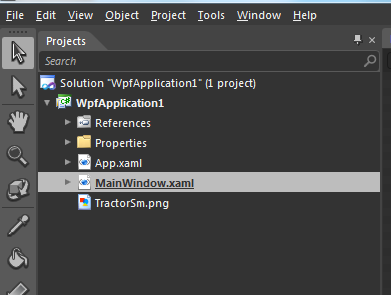 We also set the window background to a gradient fill. When the Opacity is 1.0, the image is fully opaque and the gradient doesn’t show through the image at all. 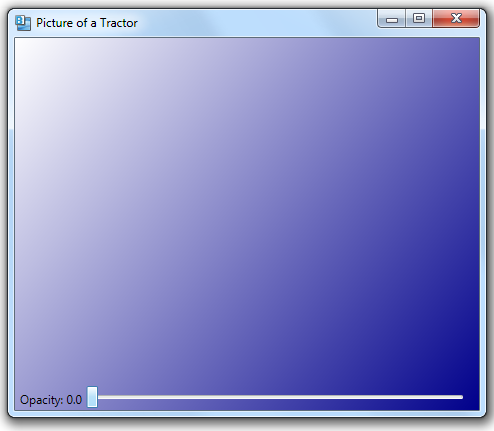 When Opacity is 0.0, the image is transparent and we just see the gradient. When the Opacity is between 0.0 and 1.0 (e.g. 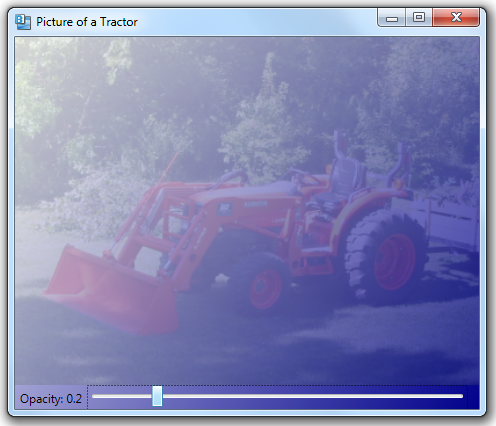 0.2), the image is translucent and the background gradient shows through. 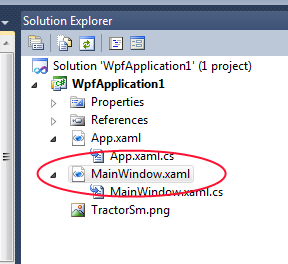 In WPF, a Window can have only a single child element. 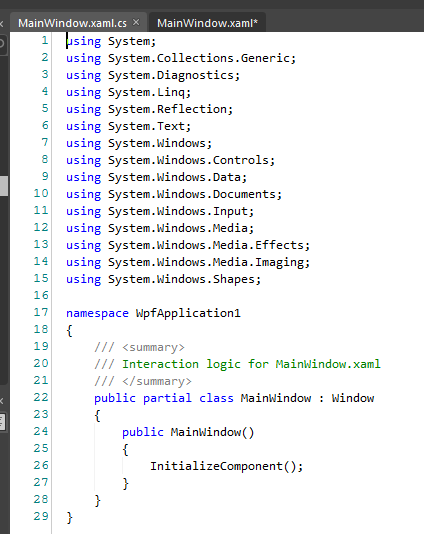 Window inherits from ContentControl, which is a control that contains a single child element, referenced by its Content property. Your window might have a single simple child control, like a Button. 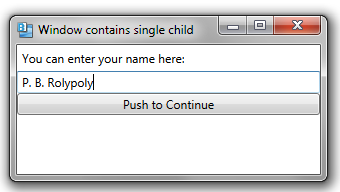 Since having a single control in your application is not very useful, it’s more common that the single child control of a Window is a container control like StackPanel, which in turn can contain multiple child elements.